OfficeHounds is here to help. This short video shows you step-by-step how you can start checking your 123-reg emails in Outlook in no time. You will need the info below to set up your email account. Follow the instructions in the video and copy and paste the info below into Outlook. If you want to add your Outlook.com email account which includes your business email to your mobile phone or tablet, use Outlook.com IMAP Mail Server Settings. It’s important that you use the IMAP settings on your mobile devices to make sure if you move an email to a folder on your phone it also gets moved/deleted when you log into Outlook on your computer. If you have any questions, please use the comments box to ask. If we helped you, please leave a comment to say that the instructions worked for you. Share your Twitter account or website, so we can connect. 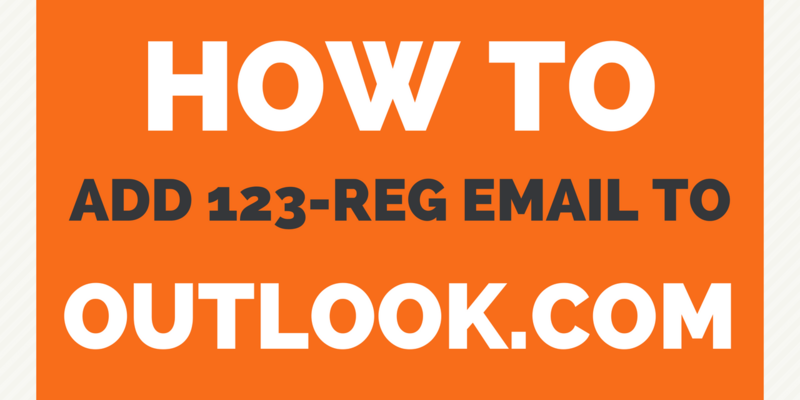 123-reg is great for buying domains and ok for email hosting. For website hosting, we strongly recommend SiteGround.